Andrew Patuasic’s performance of 'Give Me Love' -The Voice Kids - Balita Boss! 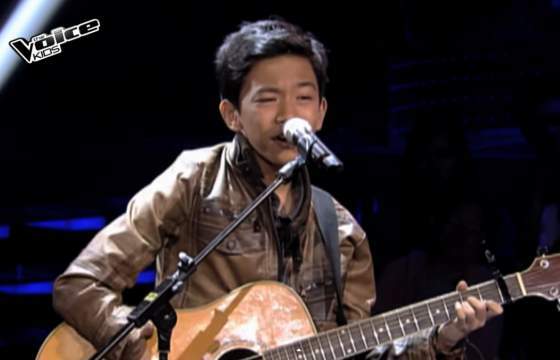 Andrew "Andoy" Patuasic performed his version of "Give Me Love" by Ed Sheeran on The Voice Kids Philippines Season 2 Blind Auditions aired on Saturday, July 4, 2015. During his performance, three coaches pushed their buttons and turn their chairs for the 13-year-old kid from Cagayan de Oro City. Andoy chose Sarah as his coach.